john4jack (Corvallis, Oregon, United States) on 6 December 2013 in Architecture and Portfolio. 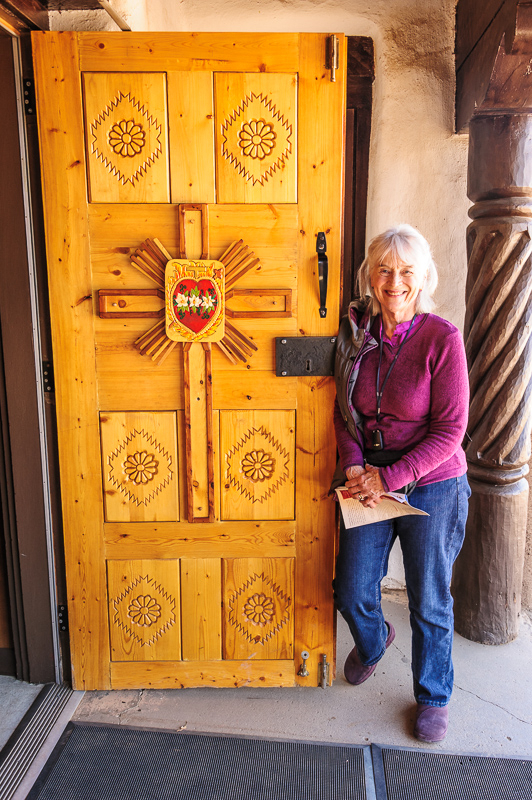 The beautiful, wooden door is well worth a photograph and so is your smiling, happy wife. Together they make a great souvenir photo on which you can be proud of. Beautiful frame, colors, lights & details! Lovely door. Nice place for portrait. Superb shot John. Excellent door a and what a wonderful smile. The art work on the door is excellent. Nice place to get a shot of your companion. A beautiful lady and a beautiful door! Wonderful image full of joy!